Fluttering Butterflies: Books I can't believe I haven't read! Books I can't believe I haven't read! I saw this on someone else's blog (sorry! can't remember where! if it was you, let me know and I will link you immediately!) and thought it looked like fun. The top ten books that I can't believe I haven't read yet. I decided to limit the list to books that I've had on my TBR shelves for ages and haven't yet read instead of the ten out of every book available. 1. Any book by Gabriel Garcia Marquez, but especially Love in the Time of Cholera and Hundred Years of Solitude - can't tell you how long I've owned these Garcia Marquez books. Their orange spines mock me frequently. I always thought that if I liked Isabel Allende, I'd like these books. It's not happening for me just yet. 2. 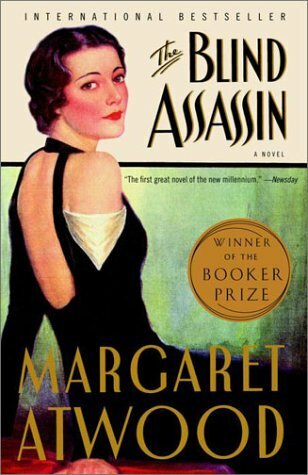 The Blind Assassin by Margaret Atwood - I've heard so many people rave about Atwood, all I've read of hers are her dystopic novels. And not even all of those yet! I have so many of Margaret Atwood's books on my TBR shelves. I just figure she'd be an author I'd like? 3. Nineteen Eighty Four by George Orwell - I think this is the one I'm most embarassed about. And the one I'd like to remove from this list the soonest, I think! It's hard not to pick up on things like 'Big Brother' and 'Room 101' without reading the books, but I'm hoping that I'll just get other things after I've read this. 4. 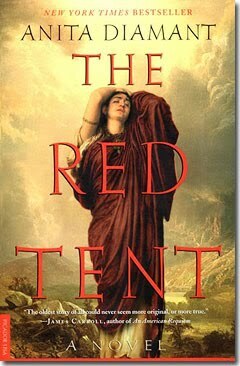 The Red Tent by Anita Diamant - I've had this book forever, it seems. No closer to reading it despite the good reviews. I like the idea of it being about women and their roles, I just think the menstruation puts me off a teeny bit. And that's it, isn't it? What the book is about? 5. 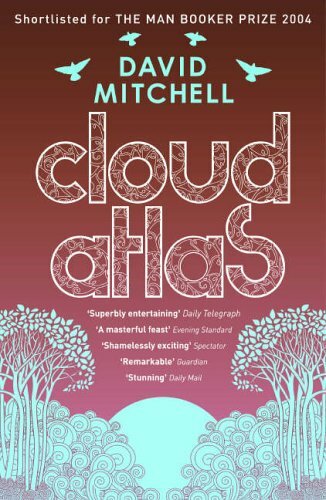 Cloud Atlas by David Mitchell - I feel bad about this one. It was free from a publisher when I was still working in a bookstore and me and a colleague both wanted it. He said 'no, you have it as you're more likely to read it than I am' and more than five years later, here we are. 6. The Book Thief by Markus Zusak - I love the books that I've read of Markus Zusak, and everytime I mention one of his books, absolutely everyone says something about The Book Thief. Which I haven't read. Started it a few times, it just hasn't stuck yet. 7. Atonement by Ian McEwan - I think I've mentioned before, my love/hate relationship with Ian McEwan. I do really want to read everything he's written, even if I do love to hate his writing... I've seen the movie, does that count? 8. Nightwatch, Tipping the Velvet and Little Stranger by Sarah Waters - Sarah Waters is one of my favourite authors at the moment, and I still haven't gotten around to these three books. Maybe my excuse is that I'm 'saving them' rather than 'I'm lazy' right? 10. 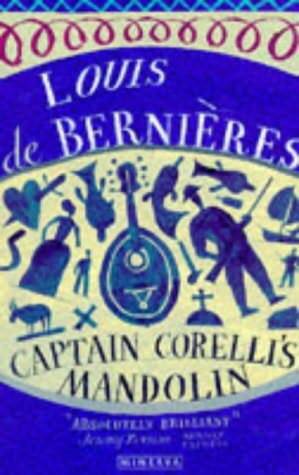 Captain Corelli's Mandolin by Louis de Bernieres - I remember I was still working at WHSmith when I bought this book. That was ... 7+ years ago now? SIGH. And that is the end of my list. I'm not even feeling guilty that most of these books have been on my TBR shelves for almost a decade. Books are all about timing, right? Which books would be on your list? Oooh, I'd like to do a post like this and link back to you if that would be ok? Goodness knows if I'll actually get round to it, but would like to try! Atonement is one of my favourite books of all time. I actually have never been able to get into any of Ian McEwan's other works, but Atonement is stylistically quite different. And Captain Corelli is awesome, as is Love In The Time of Cholera. Splendibird - Of course you can! I saw it on someone else's blog, only can't remember where! I've heard people say that, that Atonement is very different to McEwan's other works - maybe that's the problem? I've read four of his other books without problem. I have started Atonement but got stuck after about 50 pages. Same with Corelli's Mandolin AND Love in the Time of Cholera. I'm not very good at soldiering on, it seems..
i really didn't like atonement! But the book thief - that was awesome! I was thinking of doing this list - from what Ive heard though The Blind Assissain is a differcult book to read and a real love it/hate it book so it might be best to start with another of Atwoods books? I have a stack of books like that! I can't be dealing with Ian McEwan though. I read Enduring Love at A-level and hated every second or it. I don't like him or his writing! Jessica - I have several of Margaret Atwood's books, they all could have been added to this list, but I chose The Blind Assassin because I've had it the longest! Sophie - I know quite a few people feel that way :) I don't know, I kind of hate his writing and I kind of don't. Can't explain it, but I am still drawn to his books! Jessheartsbooks - go for it, would love to see it! Great post. I also have the shame of not having read 1984. Actually, I haven't read any books by George Orwell *cringes*. I have read The Blind Assassin. I have to say I found it a mighty strange book. Not that I didn't enjoy it but it wasn't exactly my kind of thing. I tried to read Oryx and Crake but I didn't get beyond the first few pages. I'll have to give that another go. I read Cat's Eye for A Level and loved it. Oh, and I need to read Love in the Time of Cholera. Oh Becky, I'm glad it's not just me. Though I HAVE read Animal Farm it was too long ago for me to remember much. You didn't like Oryx and Crake? See I love her dystopic stuff. I loved The Handmaid's Tale, Oryx and Year of the Flood. I think I have Cat's Eye somewhere around here. If you recommend it, maybe I'll try that first! My entire Fill In The Gaps list is full of books I can't believe I haven't read yet. Read The Red Tent as soon as you have a chance. It's amazing! I actually haven't read any of those books either. I'm always so focused on recent books that I forget about all the old classics. Shame on me, I guess! :P.
I'm only slightly ahead of you in terms of this list - I have read Nineteen Eighty Four and it's brilliant. Granted, I've been forced to read it (GCSE English, anyone...?) but I still enjoyed it! I haven't read Dracula, Pride and Prejudice, and - honest to God - Romeo and Juliet. I know, I feel ashamed of myself for this! Liz R - I'm not usually bothered that I haven't read these books, like I said, I don't feel guilty at all! But it would clear a lot of space on the shelves! Dwayne - really? You've not read Romeo and Juliet OR Pride and Prejudice? I'm shocked. I tried Dracula and was very bored. Some of my can't believe I haven't read it books are the exact same (#1,2,5 and 10). I've got to get to those. I would highly recommend 4,6,7,9 and all of 8 though! I think you would really enjoy The Blind Assassin, it's very different to what I thought it would be. Also, Cats Eye is excellent. Avid reader - thank you for the recommendations, I'm hoping that by publishing this list I might get myself organised and get to some of these! Ms Mac - it just seems like a book I might enjoy! The Blind Assassin will probably be the book I try to read first! I love this game because it reassures me that I am not alone in failing to get to certain books I have always meant to read. Blind Assassin has been on my TBR shelf since it first came out in hardback. Oh, the guilt every time I look at it! Do not fear, I have not read The Red Tent, Atonement or Captain Corelli either! !